This thread is dedicated to what I consider the absolute future of RC transmitter tech. If you have not heard of the OSRC (Open Source Radio Control) units, then take the time to check out the most amazing leap in technology our industry has seen in years! The concepts and capabilities are way to complex for me to explain in a post, and will leave that up to the master creator himself through his videos and site links. Well, open source firmware has been out for a while Th9x, er9x/ersky9x, open9x now known as opentx to name a few. .. what was lacking was decent hardware. 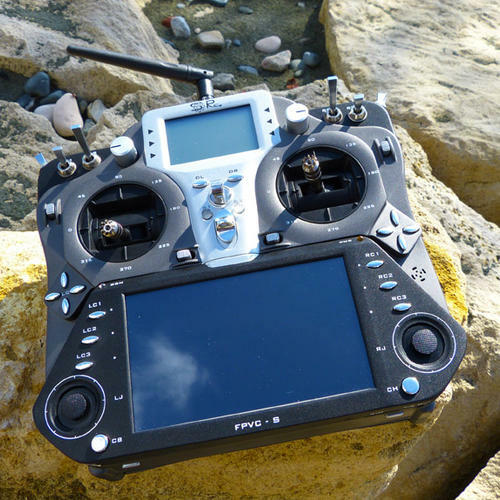 Frsky Taranis has changed that, sky9x board was a good concept but didn't give good return to the guy who designed it cuz of manufacturing costs. 9XR pro has the sky9x board redesigned to fit so that hopefully will change. ..
Good open source firmware exists but you need a big factory behind the designer to support the firmware. .. I hear ya, I am new to this arena however, but from what I seen of this guys system I'm sold. He claims he is going to be able to produce these by this spring, so I guess time will surely tell. With that being said, I do know what you mean about the big investors and factory deal though. A few years back I ran into the same problem myself with the paintball market. As a matter of fact some of the major industry producers are using some of my concoctions they revised and was able to produce in ways I found out I just simply couldn't. Its sorta bitter sweet for me at this point, cause I had all the know how and ability, just not the funding and production means. But its sorta cool knowing that I had something to do with things that are "the next best thing" in the industry. Its a vicious cycle though, no doubt. I am now interested in the Frsky Taranis stuff thanks to you, so I guess I am going to have a look a bit. bear in mind, this is a powerful tx, with robust signal between the tx & rx with telemetry sensors that dont cost an arm and a leg. However the taranis tx case aint as refined as spektrum or futaba top of the range equipment in terms of product finish. Internaly however its a work of art. Yes, well I guess that explains my lack of knowledge of it then. Looks aren't everything to me anyhow, just a bonus when present. I do hope this OSRC deal goes either way. I am real interested to see if he plans to incorporate force feed back in the gimbals like he has mentioned. I really like the idea of optical sensors to. I have a feeling the next few years are going to be a real tech war with these OS fellas, but it can only mean quite literally "the skys the limit" for all of us as it unfolds. Its an exciting time for RC, with extended range FPV, and GPS heading lock integration thrusting us into the next gen possibilities. Its funny, cause looking back when piezo gyros and governors where new to the industry, I can remember and almost now relate to the older veteran RC pilots balking at the new tech, mumbling about how they used to have to truly "fly the sticks" as they put it. Shaking their heads at the idea of helicopters and radical flight. Some of them would flip in their graves if they seen what we have now! But I am truly excited about it all.